Normally I only post my own photos of sculpture I had seen and touched. You need to visit my friend Col and please read down to the end of the post for the special suprise! This entry was posted in Sculpture and tagged Colonialist's Blog, Nelson Mandela, Sculpture on May 15, 2015 by Grannymar. Cé a dhein an domhan? On my way to the Craft Beer & Cider Festival in Dublin’s RDS, last week, I discovered this beauty outside The Herbert Park Hotel. Cliodna Cussen was born and educated in Co. Limerick. 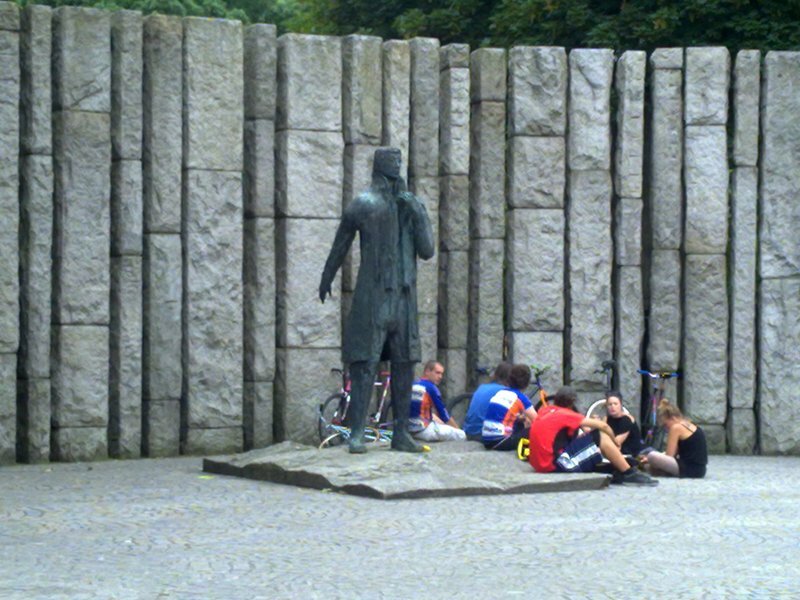 She attended third level education in Dublin and Florence and is presently based in Dublin and Kerry. She works as a full-time sculptor using mostly bronze and stone. Cliodna does graphic work in the Graphic Studio Dublin and she also illustrates and publishes Irish Children’s Stories. 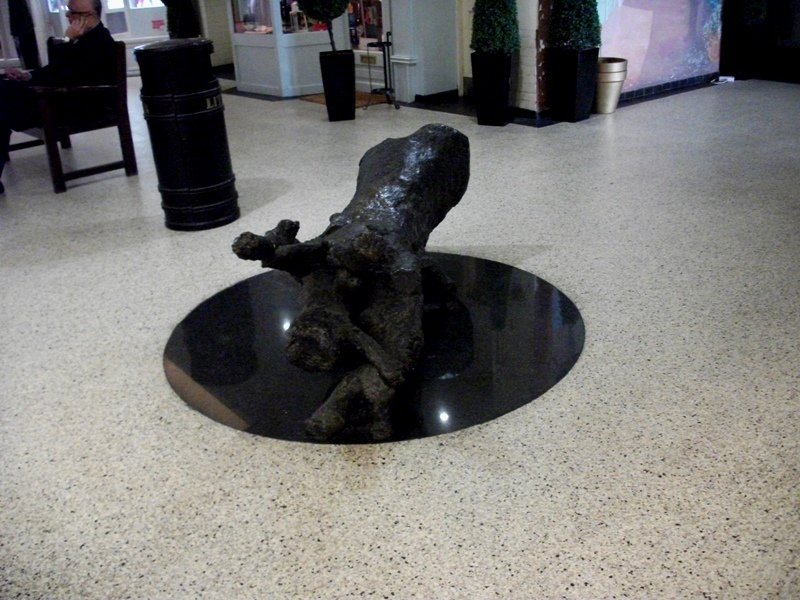 She has exhibited widely and won a number of awards for her work, including the Listowel Gold Medal for sculpture and the sculpture prize at the Oireachtas. Do you think They found the answer? This entry was posted in Sculpture and tagged Cliodna Cussen, Sculpture on September 15, 2014 by Grannymar. 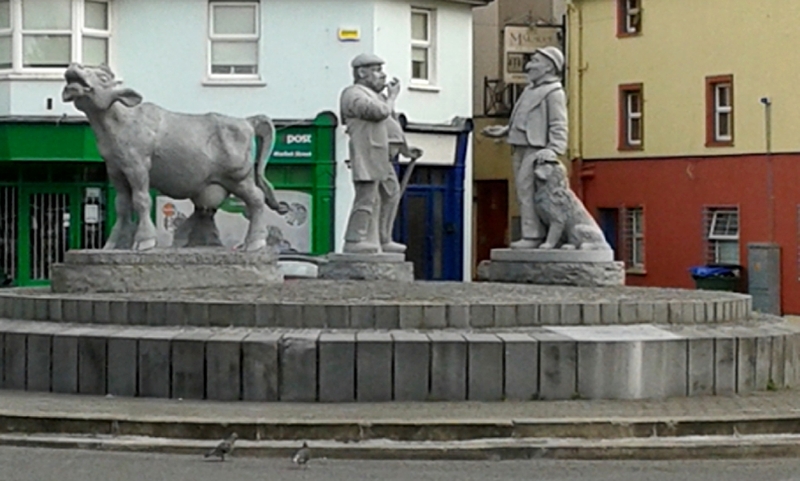 A €40,000 sculpture depicts a market scene and sits in the centre of the market area in Ennis , County Clare. It involves two 7.5ft farmers haggling over the price of a 6ft granite cow. 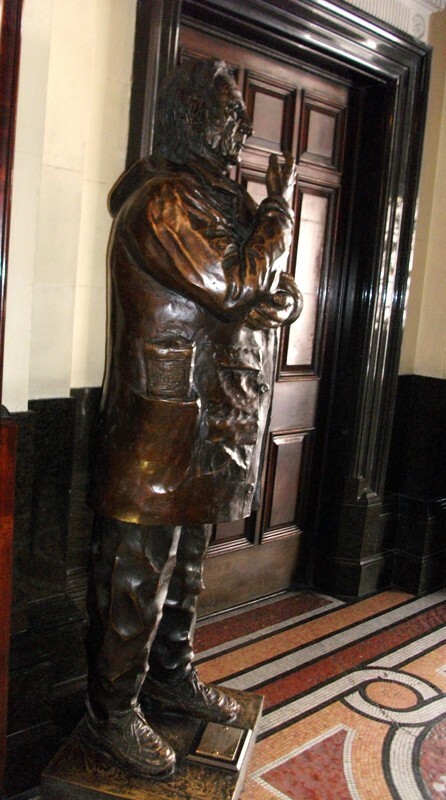 Barry Wrafter spent 18 months sculpting the piece. 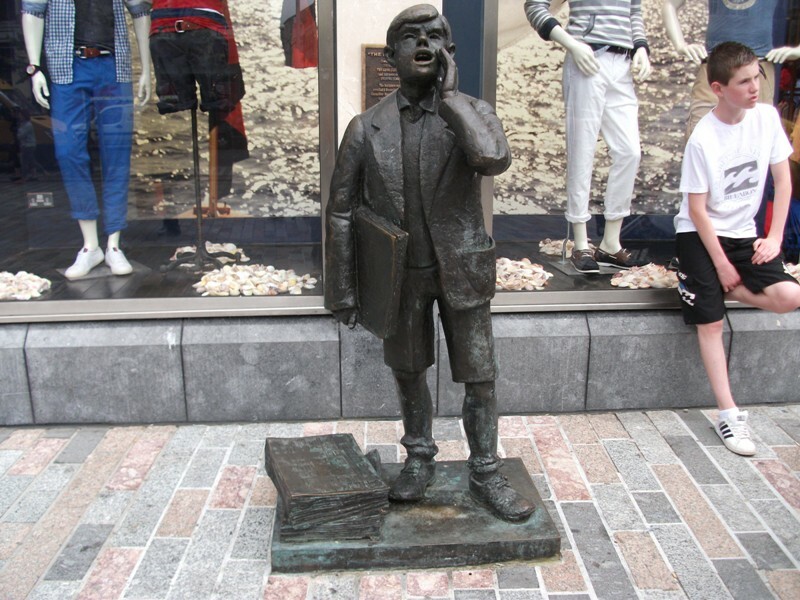 ‘Market Day’ forms the latest piece of the Ennis Sculpture Initiative that has resulted in sculptures being dotted around the Clare town. 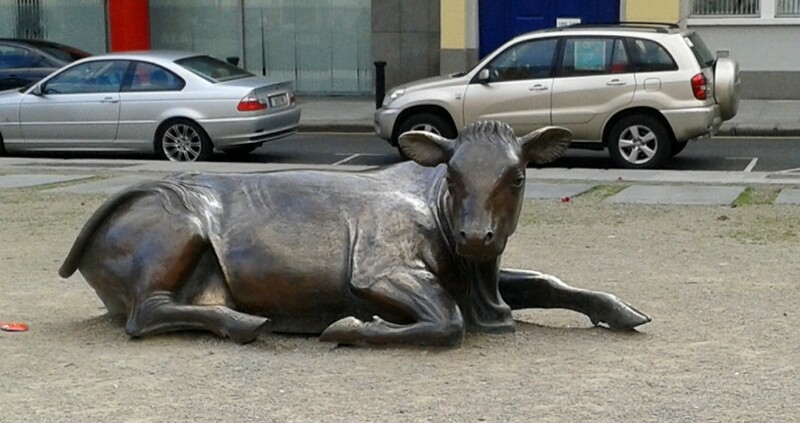 This entry was posted in Sculpture and tagged Barry Wrafter, County Clare., Ennis, Sculpture on August 16, 2014 by Grannymar. 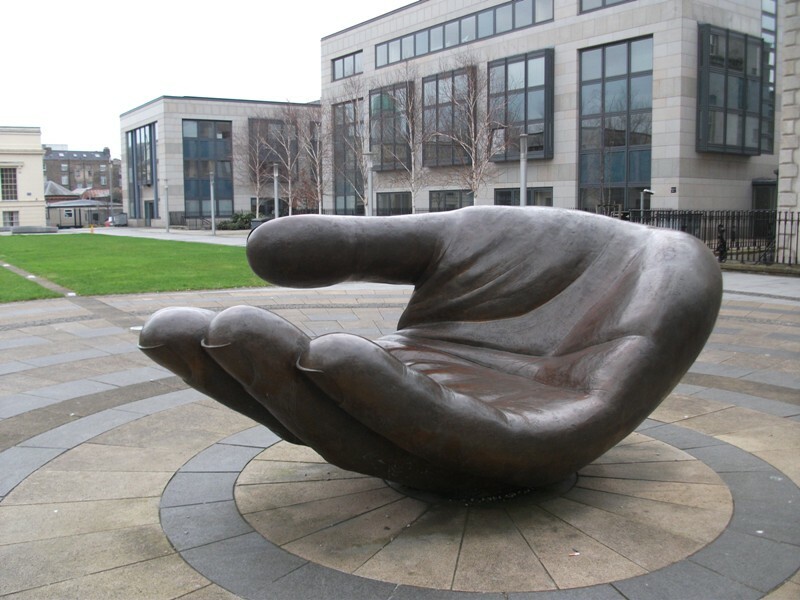 In April 2012, I shared a piece of sculpture that I found in Dublin. I called it a mystery hand. 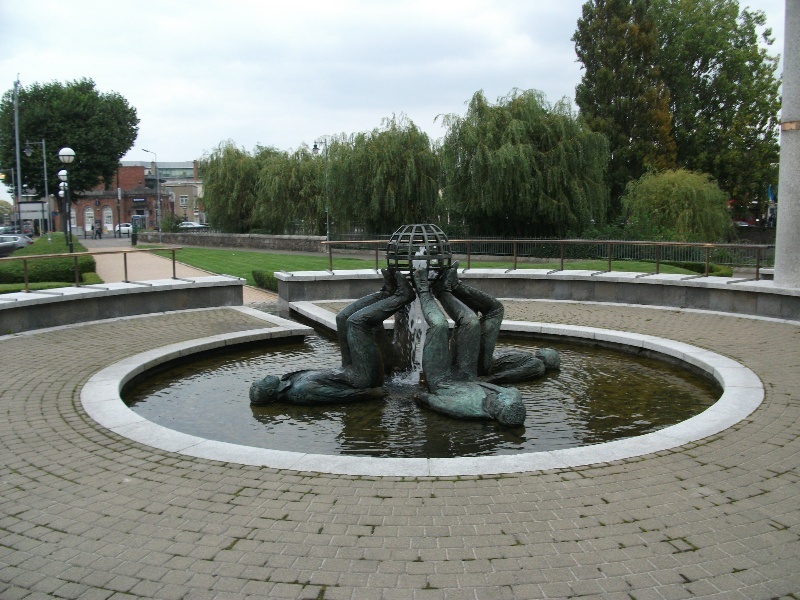 At the time I was unable to discover any information about the work or of the sculptor. 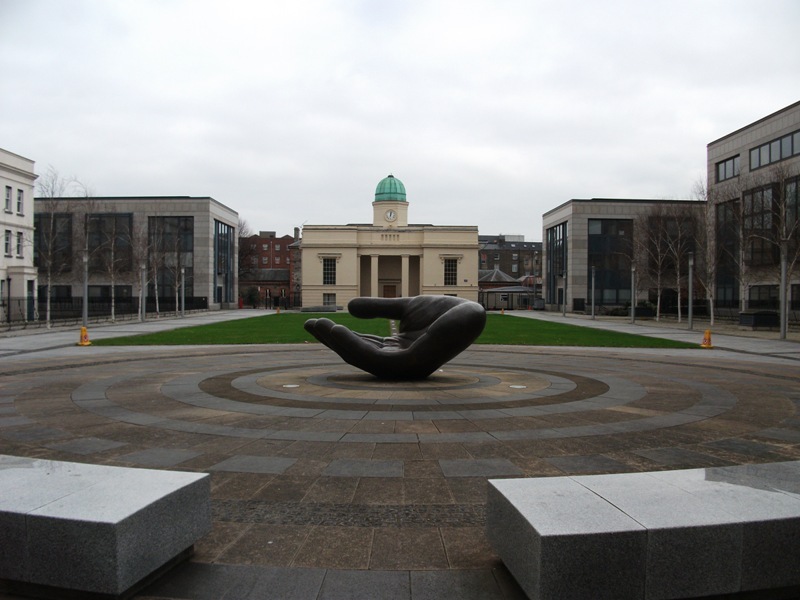 The sculpture stands in the grounds of the Department of Education, in front of Tyrone House in Marlborough Street, Dublin. Last week I discovered the correct title and the name of the sculptor. Linda Brunker was born in Dublin, Ireland. She studied at the National College of Art & Design in Dublin and received a degree in Fine Art, Sculpture – 1988 & a Diploma in fine art, Sculpture – 1987. 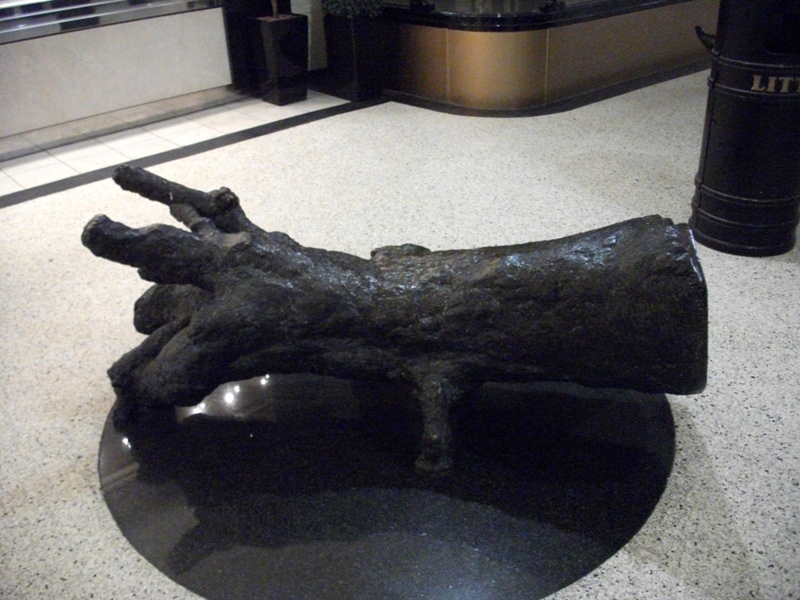 The Bronze Wishing Hand is solid and impressive at 63 x 110 x 55 inches. Almost inviting the viewer to climb up and curl into the open palm. In some of her sculptures she resists the solidity of bronze, creating spaces which open up the pieces, letting air and light flow through them. The female form is delicately conjured out of leaves that appeared to be blown into shape by the wind. They have the feeling of being accidental, transitory or momentary. This sense of lightness is enhanced by their overall compositional structure, where the entire piece is often balanced on a single point. There is a sense of nature in the way they have been composed into flowing shapes which echo the rhythms of wind, fire and water. 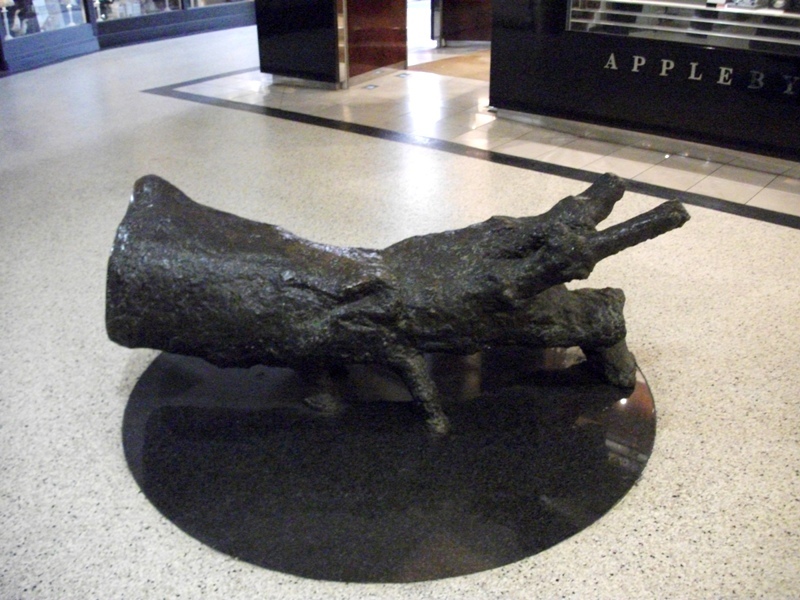 Her bronze sculptures have been exhibited in Ireland and abroad and are present in several private and corporate collections. She has received several awards. You can check out her other works in the link above. 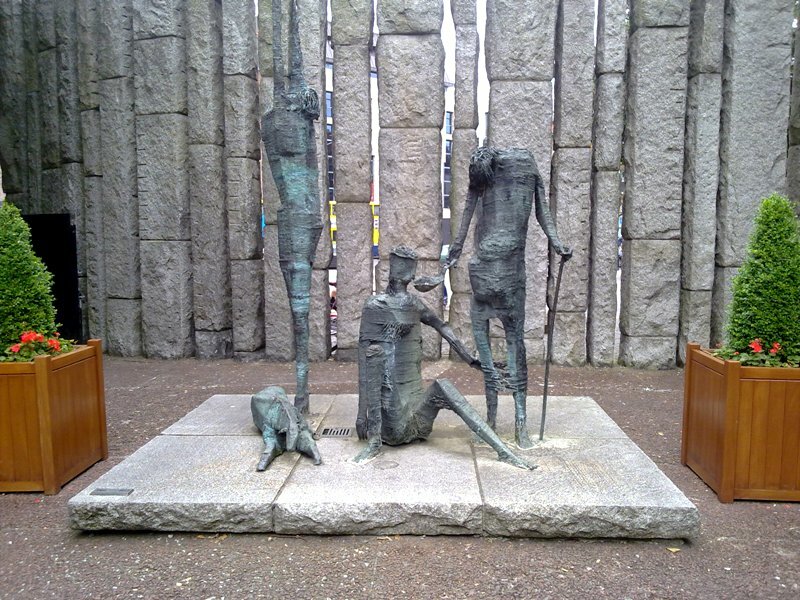 This entry was posted in Sculpture and tagged Department of Education Dublin, Linda Brunker, Sculpture on July 28, 2014 by Grannymar. Sculptor ~ Unknown to me. Con Houlihan was one of Ireland’s premier sportswriters. He was often described as ‘writer, journalist, philosopher, raconteur, Gaelic scholar and gentleman, he entertained his readers with some fantastic writing. Con looks like a man with a thirst! 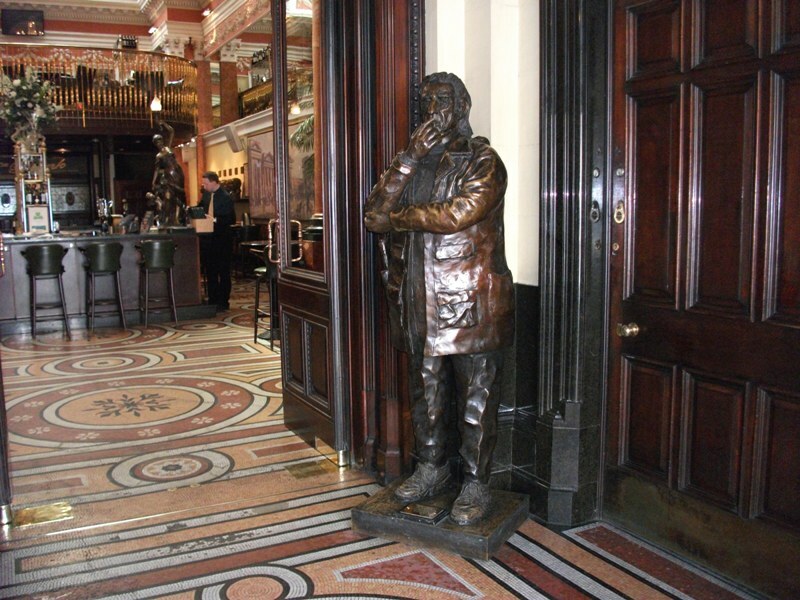 This sculpture was erected in the vestibule of The Bank Bar & Restaurant on College Green, in Dublin. He recalled a comment he made when unable to locate a book of poetry by Gerald Manley Hopkins after a cleaning lady had done her work, “you know, if that woman worked in Trinity College she’d throw out the Book of Kells”. 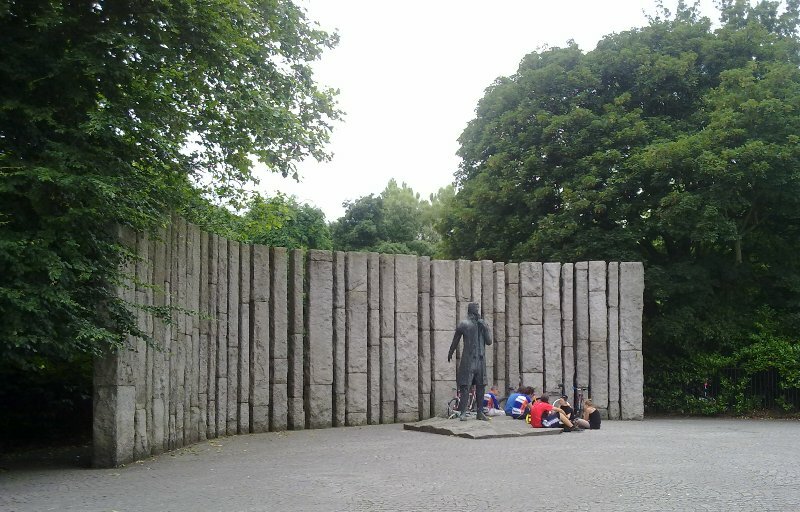 There was no signature or sculptor’s name on the work and I have been unsuccessful in my search for further information. 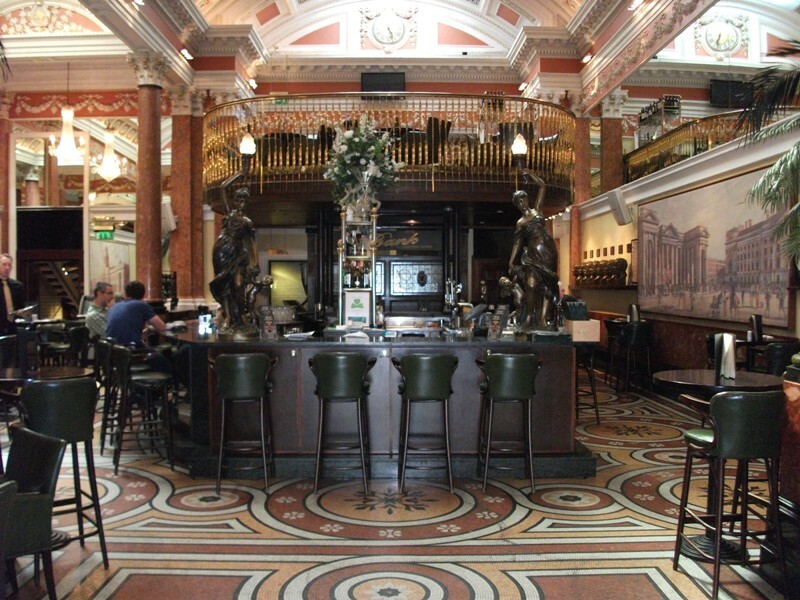 This entry was posted in Ireland, Photography, Sculpture and tagged Con Houlihan, Photography, Ray Hennessy, Sculpture, The Bank Bar & Restaurant on October 13, 2013 by Grannymar. 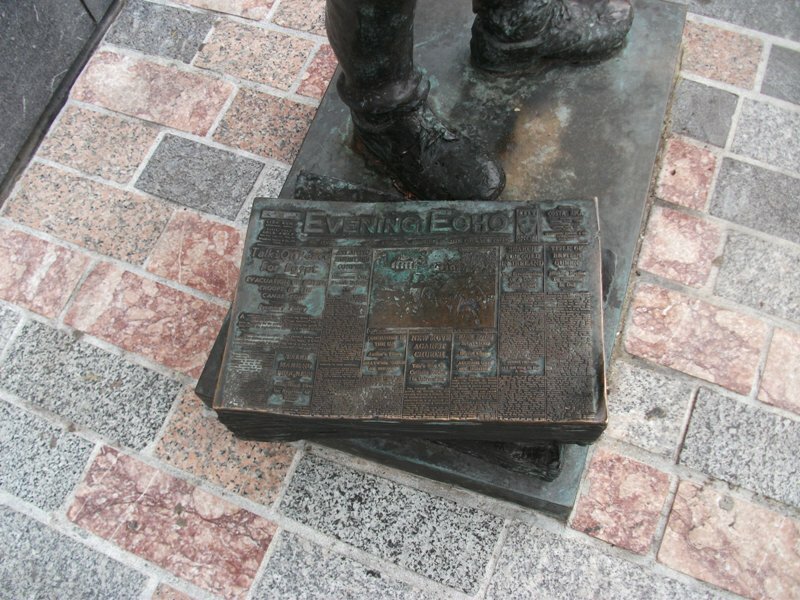 This memorial is for the Echo Boys. Poor and often homeless children who sold the newspaper The Evening Echo & on the streets in Cork City. 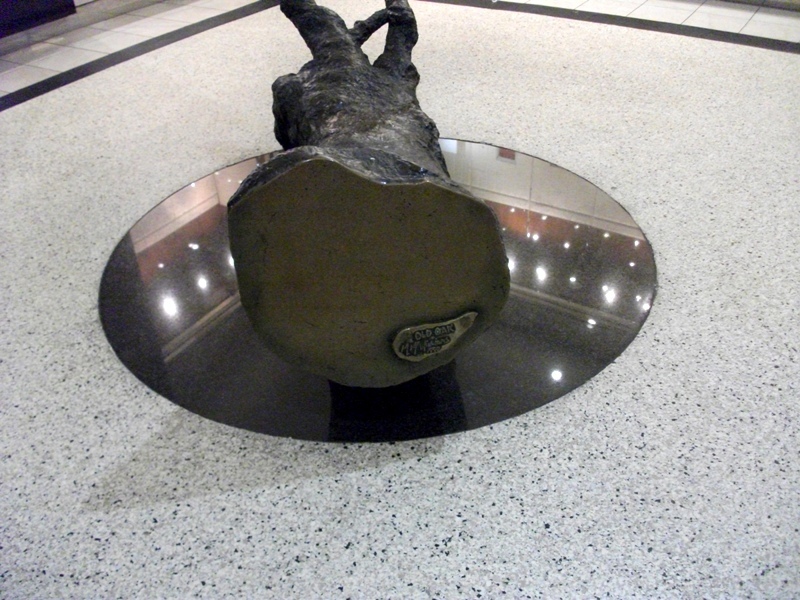 Barry Moloney (1935 – 1992) was principal of the Crawford School of Art. Unfortunately, I had little success in finding information about Barry Moloney. 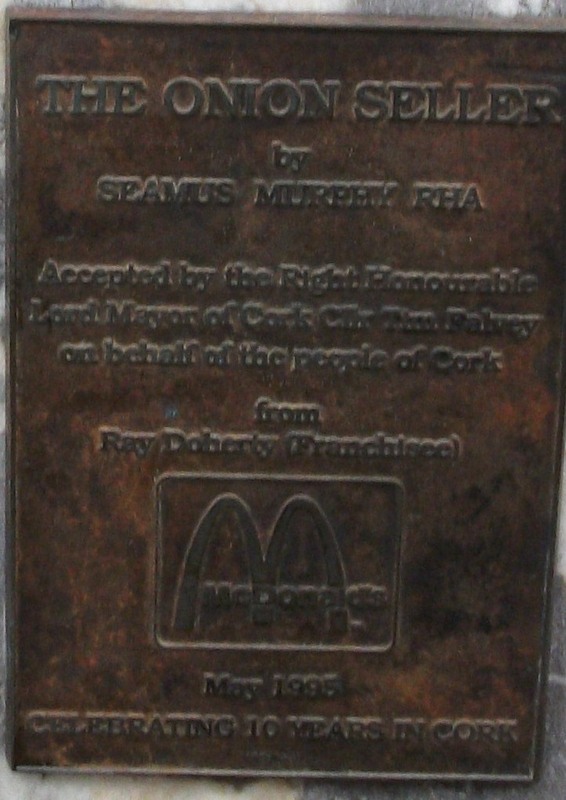 Plaque on the wall behind the Echo Boy. 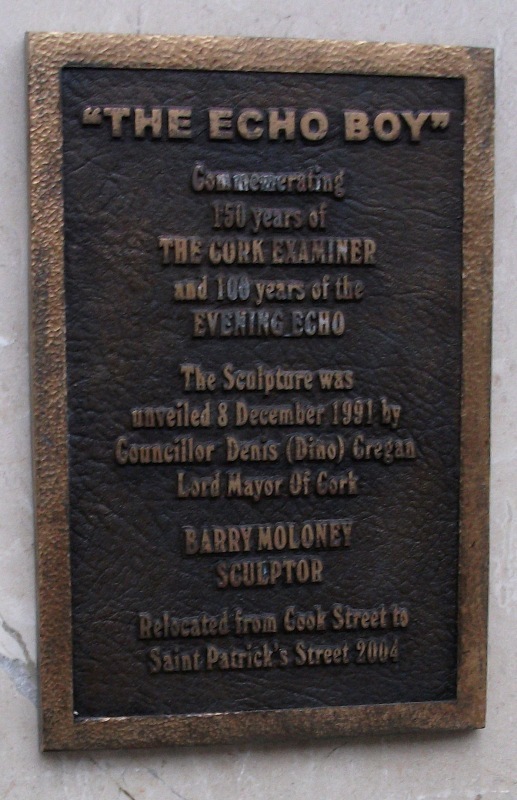 This entry was posted in Ireland, Photography, Sculpture and tagged Barry Moloney, Cork City, Evening Echo, Photography, Sculpture on September 22, 2013 by Grannymar.